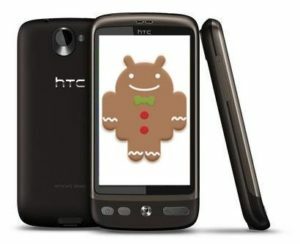 As Gingerbread continues to uproar various Android smartphones, HTC has also officially announced the gingerbread 2.3.3 update for the long awaited HTC Desire. At first HTC was reluctant to provide an update for Desire due to technical complications in the ROM memory but then it was officially declared that Gingerbread 2.3.3 for HTC Desire would roll out soon, and yes it has. The update is not a major one and there are a few under the hood improvements to 2.2 Froyo so if you are happy with it stick to Froyo. This one is not an over the air update for HTC Desire users that means that you have to do it manually by downloading a couple of files. A few apps and wallpapers have been removed from the official download in order to abridge the size of the update. You can install them separately by copying the contents into your SD card. Follow this simple guide in order to update HTC Desire to Gingerbread 2.3.3. Note: Before proceeding for the update, make sure that your phone is fully charged so that the update process does not halt midway. In addition to that backup the contents of your device as your phone will be completely erased during the procedure except for the SD card that will remain untouched. Step 1: Download HTC Sync from the official HTC website here. This tool ensures that your PC and phone are connected properly. Step 2: Download Gingerbread 2.3.3 update package for HTC Desire from here. It is a 161MB file containing the update together with the left out apps and wallpapers. Step 3: Unzip the contents of the .zip file downloaded in Step 2 using a suitable extractor and run RUU_HTC Desire Android 2.3 Upgrade (Gingerbread).exe and follow the onscreen instructions. Step 4: The update will take some time and your phone will restart once done. Finish the wizard and enjoy a fresh update to Gingerbread 2.3.3 on your Desire. Copy the files from Step 3 into the root of your SD card and use a file explorer like Astro to install the .apk files.